I am a self-professed PlayStation fan. I always have been and I always will be. I’ve always been turned off by the Xbox 360’s, now apparent, hardware failure rate. And, personally, I’m just drawn to the Japanese mystique of the PlayStation brand. Games like Metal Gear: Solid, Final Fantasy and until recently the Resident Evil series have all been PlayStation brand exclusives and coincidentally some of my favorite games. Well folks, you are hearing it from me (the PlayStation fanboy), after comparing both the PS3 and the Xbox 360 versions, I will not be buying my copy of Resident Evil 5 for the PS3. Resident Evil 5 on either system is a beautiful example of current-gen gaming. After a few tries at the somewhat cumbersome controls, they become very natural and the game really starts to take hold of you. And I want to make this clear; if you only own a PlayStation 3 and are even the least bit interested in RE5, you will not be disappointed. However, if you are fortunate enough to have the choice between the two versions, there are several key advantages that you will find on the Xbox 360. The first, and most noticeable, is that the lighting and textures on the Xbox 360 version are much higher resolution. Both versions are extremely beautiful but, if you have the choice and you want to get the most out of your HDTV, I would definitely recommend you play RE5 on the Xbox 360. The second advantage is something that Xbox 360 has always had over the PS3, and that is the Xbox 360’s more stable online infrastructure. While playing the PS3 online, I constantly lost track of my co-op partner because of lag between our systems. Now I know some will say that has more to do with our internet connections but in my experience with RE5 online (always using the same internet connections), the lag never occurred on the Xbox 360. The frame rate and connection speed seemed to fluctuate only on the PS3. The third and final advantage for the Xbox 360 is that a Bluetooth headset on PS3 will never sound as clear as the Xbox 360’s controller headsets. This may sound a little nit-picky, but if I’m going to play a fifteen or twenty hour game with a friend online, I don’t want to hear constant popping and crackling throughout. Believe me friends, it pains me to point out these flaws in my go-to gaming system but, for the sake of objective impressions, I had to. I want to stress again that PS3 owners will not be disappointed with Resident Evil 5 and the differences between the two versions are only noticeable upon direct and critical comparison. 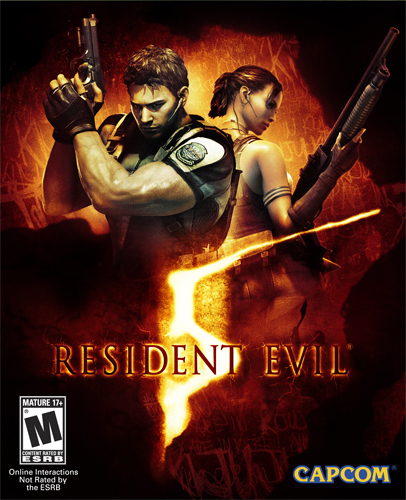 I’m glad to say that, from what I’ve played on both systems, I can easily give Resident Evil 5 my hearty recommendation. Graphics look great on my PS3, if they improve for the full game I will be happy. Not a deal breaker though. That said, despite any defense that is thrown out by Capcom or RE fan apologists, the RE4 control system does not suit the higher action content of the RE5 demo. The controls were designed for a slower game, with ‘some’ action orrientated areas. The demo gives me the impression that this is an action game, but with a handicapped control system. 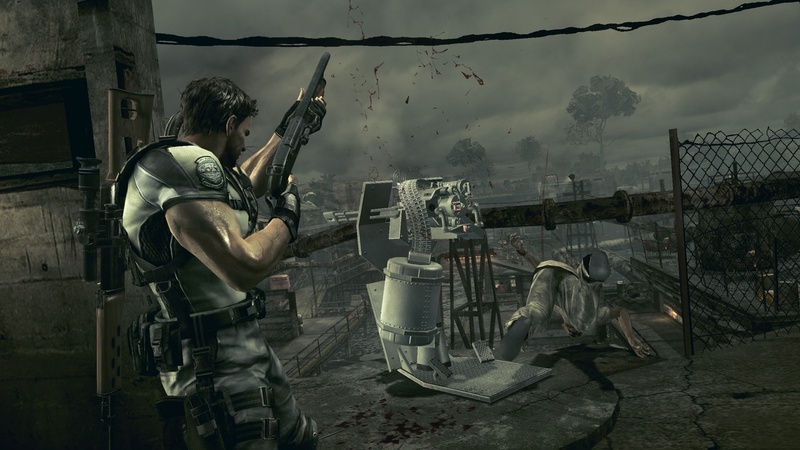 Recent reviewers have backed up the higher action quotient of RE5, even going as far to say that there are little or ‘no’ puzzles! Resident Evil is a survival horror game, and is not supposed to be an infuriatingly, difficult 3rd person shooter. I will be waiting for full reviews before considering purchase. isn’t it about time the whole fanboy argument ended. who cares – just play the stupid games! Here we go again with the “360 had better textures” crap again. I actually HAVE a 360 and a PS3 connected to my 56″ 1080p LCD Aquos and the “differences” are so trivial only a FANBOY or someone with OCD would bother to harp on. Who cares if he admited he was a fan of the PS3. It seems to me it would give him more credibilty because hes admiting fault in the system that hes a fanboy of. Mr. Matthew Rudd, I would ask you to reserve judgement until the final builds are released in March. If Kotaku is correct, the PS3 demo that you and I are disappointed in is an older code or build. Development started on the PS3 so of course they would have an older demo build since they built it first. I don’t know why they didn’t update the build for the PS3 demo, as it is hurting the PS3 versions portential sales(even so, I still think the PS3 version will sell more copies). But even though it seems the PS3 version is turning out poorly I am hopeful Capcom is more professional then this and will fix all the errors, bugs, texture, shadowing and framerate problems for the PS3 before release. I have noticed a little bit of favortism towards the 360 on their part(I think mostly cause 360 owners are a newer market for them)but I don’t see why they would make a move like giving PS3 owners an inferior copy of a very anticipated game. After all the only ones that arnt complaining about the RE5s controls are PS3 owners because they have been fans of the series from the beginning. Im hoping Capcom understands that and doesn’t spit in our faces. If they do then im done with Capcom. Its been said that the demo released on the PSN is a older code or build. Kotaku said they saw a more recent build at the CES in las vegas, some stages we havent seen yet and said this lastest build was identical to the 360 demo. I too am disappointed in the recent PSN demo but im hoping kotaku is right. If their wrong, and the PS3 version of this game looks as bad as you say it does, then i will not be buying anymore games from Capcom. 5gig required install for an inferior looking game? no thanks Crapcom. Come on! Roger! Come on! Okay! Come on! Roger! I don’t get why anybody would be a self-proclaimed fanboy these days, especially if you have both consoles. Why not enjoy what each console has going for it, respectively. Why does it have to be Playstation version vs. anything? Take the GTA4 argument. You could argue that GTA4 looks and plays great on any console, but Xbox is the only version with downloadable content. You’re not a Xbox fanboy for choosing the obvious game. With so much greatness on both consoles right now, I just don’t understand why anybody would want to be a fanboy of any particular format. It doesn’t make any sense, and it creates a stupid sense of superiority, which of course leads to unnecessary arguing. Plus it’s just petty either way. Next time, I wouldn’t admit that you’re a fanboy in an article. That is possibly the dumbest move you could make. It makes others not want to read your biased posts. Honestly…is this amateur hour? Hmmmm mabey you should wait untill the game is out a demo is just that a demo I like most people will wait for the game is out to judge for my self. On a side note I am not happy with this demo the controls are tank like I am sooo disapointed in what I played too damn slow for my taste. Now if they keeped the game like RE should be than it might work but there is too much action for those old slow tank controls.